Dimensions: 10.5 x 29.5 x 2.8cm. 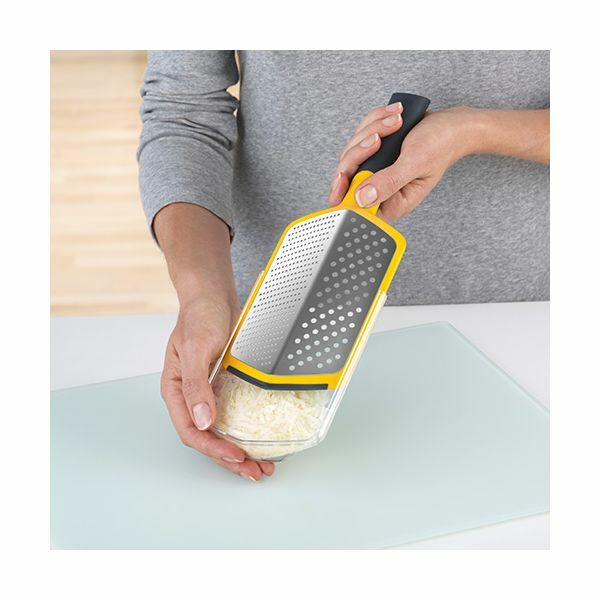 The Twist Grater features two ways of grating. 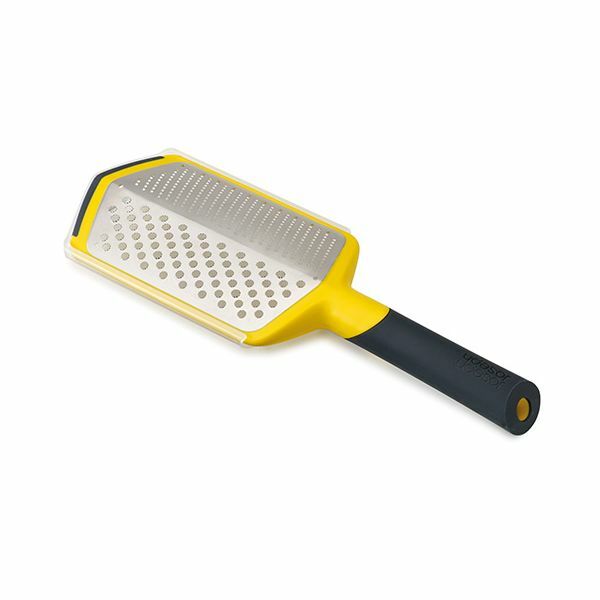 The Star blade is ideal for hard cheeses such as parmesan and the extra fine blade is perfect for nuts, spices and zesty fruits. 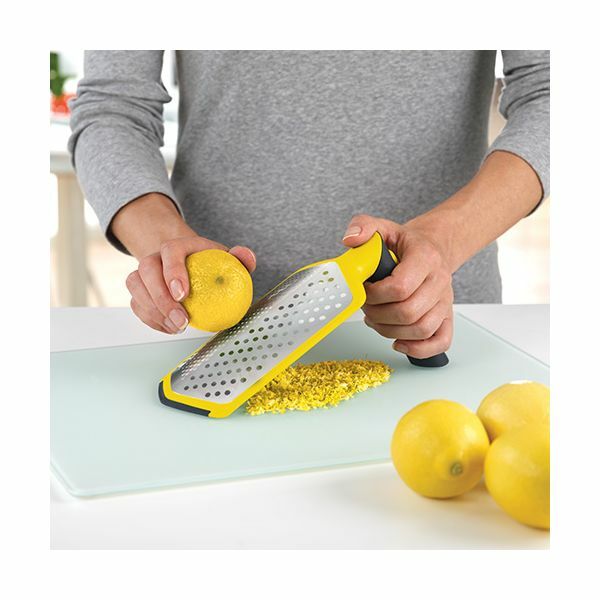 The Stainless Steel surfaces are set each side of the grater for ease of use. The handle features a locking system for two different styles of grating, the straight position is designed for grating over plates and pans and the locked 90 degree position is designed for resting on a work surface for stability.